Did not do well for SA1 examinations? If you/your child did not perform well in the SA1 examinations, June holidays is NOT the time to rest! IT IS THE BEST TIME TO PULL UP YOUR GRADES! With more time on hand, this is NOT the time to rest on your laurels! School holidays will be the last chance to create miracles and to make a difference to your grades. 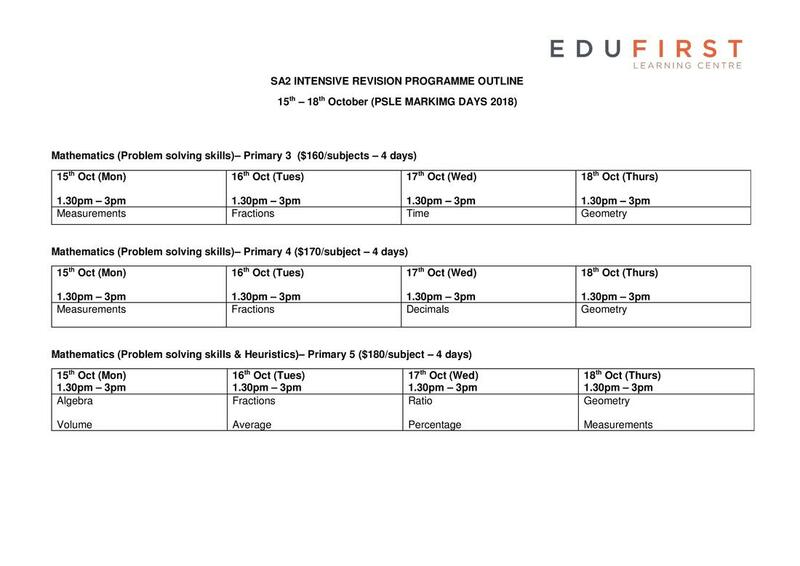 JOIN US FOR OUR SA2 INTENSIVE PREPARATION COURSE! This is a week to a month-long intensive preparation course for students taking PSLE/GCE N and O level examinations this year. Are these crash courses effective? Results depend on individuals. However, we have seen very dramatic improvements in some of our students who attended the crash course. Which are the subjects available? Where and when are the lessons held? 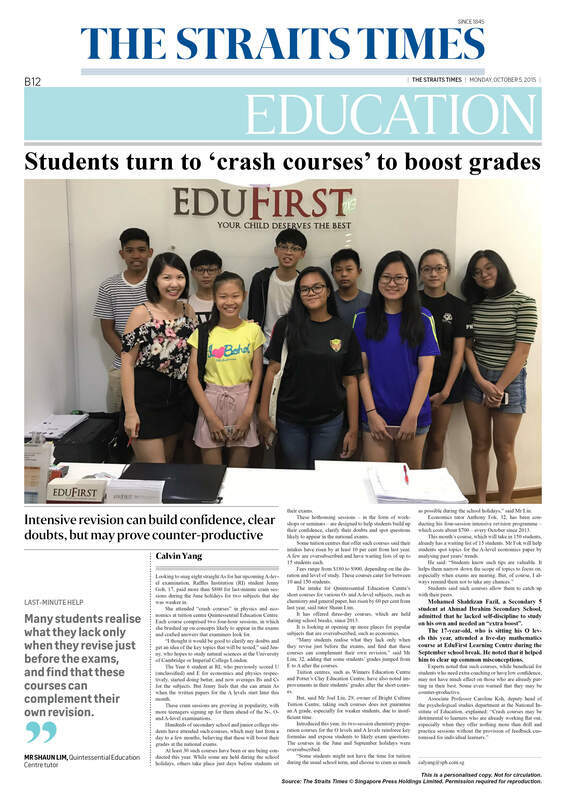 Lessons will be held during the June and September holidays, or during PSLE Marking days. What will be covered during the lesson? - MORE THAN 100 questions compiled by our tutors, the fastest and quickest way to master the topic in the shortest time! - Clarifying all your doubts pertaining to the subject! I am worried that I will be slower than my peers in class. Am I still suitable to join this class? Only a maximum of 6 students in the class! You will be getting sufficient attention from the tutor in a small group setting. REGISTER YOUR INTEREST TODAY BY FILLING IN THE FORM BELOW! We will contact you within 1 working day to confirm the class details with you.